Gorilla Safety provides customers looking for a turn key solution with its award winning, patented solution in an easy to install MAX package. GorillaMAX comes ready to install and fully functional, taking all of the guesswork out of the process. 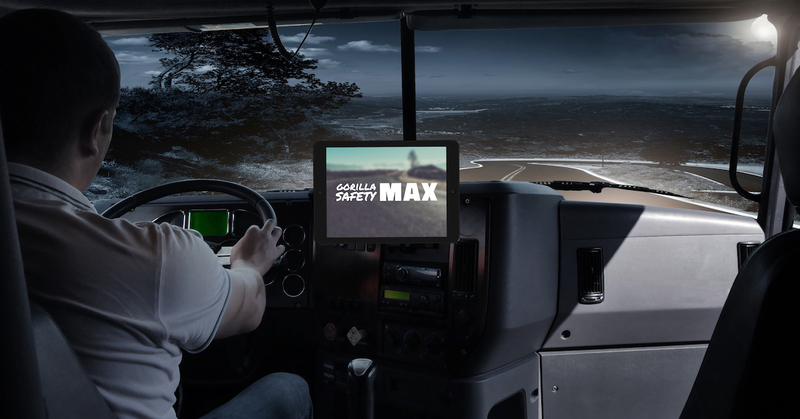 GorillaMAX brings all aspects of your fleet operations into one easy to use driver interface. This cockpit device will be the primary tool your driver will use in his day-to-day operation and will keep them not only compliant but beyond compliant. With this solution, there is a simple 3 step installation process that any fleet operator can easily manage with internal resources. If you are like many other fleets deciding on the best solution for your needs, consider the advantages of having an easy to install, easy to use, affordable solution that is designed to make your fleet more efficient and profitable. GorillaMAX provides your fleet with all of the tools you have come to expect form Gorilla Safety’s flagship product, Fleet Xtreme. Schedule a demo to learn more about how your fleet can benefit from GorillaMAX. ← Does Your ELD Offer a Full Solution?